Klingon Armada, the Star Trek expansion to Starmada, is now available. You can get it from ADB or MJ12. 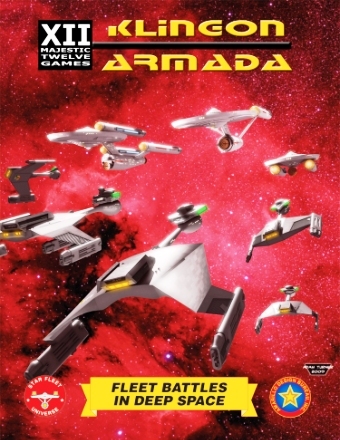 Klingon Armada uses the license from ADB and their Federation Commander/Star Fleet Battles universe for quick play Star Trek rules using the Starmada rules system. FC/SFB fans can finally fight larger fleet actions. The game is also ideal for use with the Starline 2400 miniatures. A printed version of the Starmada: Admiralty Edition rules is also available. This entry was posted in Board Wargames, Miniature Wargames, News and Updates, Sci-Fi.